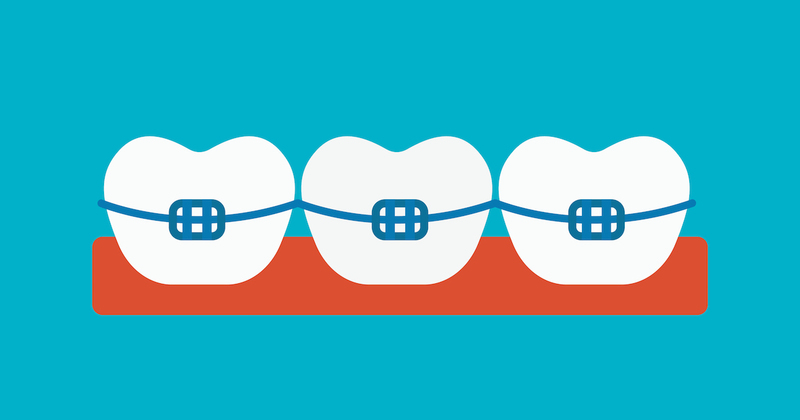 Even though braces are very common, few people fully understand the requirements of wear. Discover what you need to know about orthodontic treatment. If you think that braces only straighten teeth, think again. See, orthodontics can also be used to properly align the bite. An orthodontist will evaluate the bite by having the patient open and close their mouth. This will show whether the upper and lower teeth are properly aligned. If not, then braces are recommended to correct the concern. Most people think orthodontics are only for teens, but the truth is that family orthodontics practices offer braces for the whole family. Today, adults of all ages are correcting long-time orthodontics concerns, while braces for kids have become more and more popular. The way you treat your braces will determine the results of your treatment. The better you care for them, the better your outcome. The basic requirements of care include gently brushing teeth with a soft-bristled toothbrush numerous times a day, flossing daily as instructed by the orthodontist, and visiting orthodontists in Virginia for regular check-ups and necessary repairs. Once braces are taken off, you’ll need to wear a retainer to ensure that teeth don’t move over time. While retainers are prescribed to all ages after treatment, they are especially important after braces for kids because their jaws may continue to develop after treatment. There is no standard price for braces because their cost depends on the dental problems needing correction, the type of treatment, and the location of the orthodontist. Fortunately, most family orthodontics practices offer payment plans, take insurance, and accept dental discount plans like DentRite that make affordable braces a reality. If cost is a concern, consult with several orthodontists in Virginia to find affordable braces near you. Efficient and professional , they take time to answer any concerns . Dr Miller and Dr Lin outstanding . All staff is courteous . Tremendous sensitivity and help for my elderly mother’s oral situation. Much more to come. Thank you! The office staff is friendly, the dental assistant kind & gentle and the dentist knowledgable & nice. Yay! Staff is friendly. Professional cleaning done. I came in with an emergency and they adjusted schedule to take care of it. Very competent and professional as well as friendly. I am completely satisfied the service I received. The doctors and all the staff were so professional and kind. I have been a patient of Dr. Miller for many years. He is a perfectionist in his field and he always insures that a procedure is done exactly right. I know it doesn’t come any better than that! Everyone in the office was friendly and understanding. I had the date wrong for my appointment but they managed to get me in that day.